← Pleistocene megafaunal extinctions – were humans to blame? For a planet to produce life it needs various attributes. Exoplanet hunters tend to focus on the ‘Goldilocks’ Zone’ where solar heating is neither so extreme nor so little that liquid water is unstable on a planet’s surface. It also needs an atmosphere that retains water. Ultraviolet radiation emitted by a planet’s star dissociates water vapour to hydrogen and oxygen and the hydrogen escapes to space. The reason Earth has not lost water in this way is that little water vapour reaches the stratosphere because it is condensed or frozen out of the air as the lower atmosphere becomes cooler with altitude. Given moist conditions survivability to the extent that exists on Earth still needs another planetary parameter: the charged particles emitted as an interplanetary ‘wind ‘by stars must not reach the surface. If they did, their potential to break complex molecules would hinder life’s formation or wipe it out if it ventured onto land. A moving current of electrical charge, which is what a stellar ‘wind’ amounts to, can be deflected by a magnetic field. This is what happens on Earth, whose magnetic field is a good reason why our planet has supported life and its continual evolution since at least about 3.5 billion years ago. Direct proof of the existence of a geomagnetic field is the presence of aligned particles of magnetic minerals in rocks, for instance in a lava flow, caused by their acquiring magnetisation in a prevailing magnetic field once they cooled sufficiently. The earliest such remanent magnetism was found in igneous rocks from north-eastern South Africa dated at between 3.2 to 3.45 billion years. All older rocks do not show such a feature dating back to their formation because of thermal metamorphism that resets any remanent magnetism to match the geomagnetic field prevailing at the time of reheating. There are, however, materials that formed further back in time and are also known to resist thermal resetting of any alignments of magnetic inclusion. They are zircons (ZrSiO4), originally crystallised from igneous magmas, which may have locked in minute magnetic inclusions. Zircons are among the most change-resistant materials and they can also be dated with great precision, with the advantage that the U-Pb method used can distinguish between age of formation and that of any later heating. 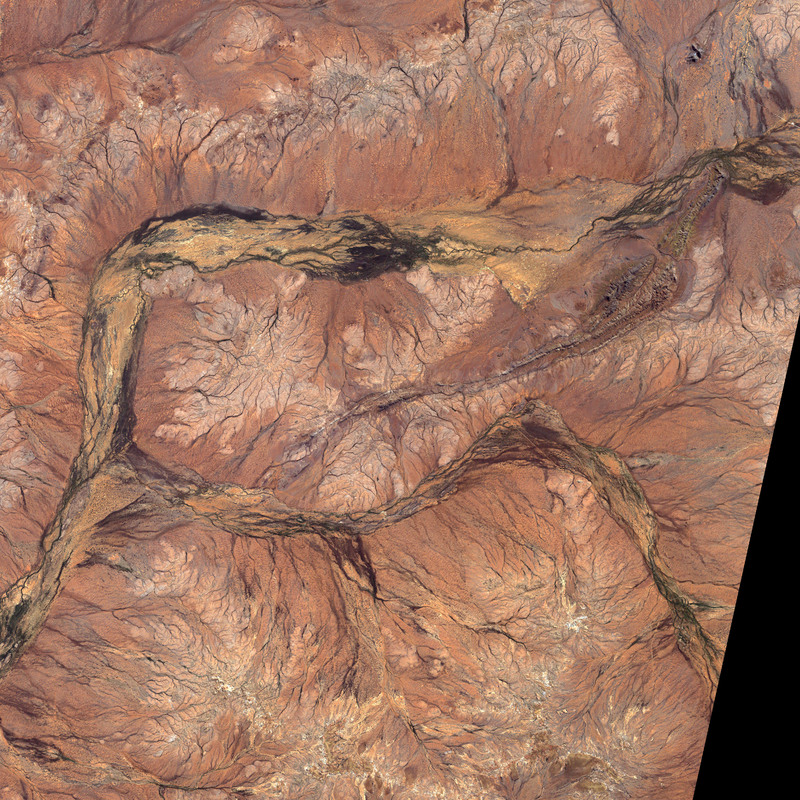 Famously, individual grains of zircon that had accumulated in an early Archaean conglomerate outcropping in the Jack Hills of Western Australia yielded ages going back from 3.2 to 4.4 billion years; far beyond the age of any tangible rock and close to the formation age of the Earth. Quite a target for palaeomagnetic investigations once a suitable technique had been developed. John Tarduno and colleagues from the Universities of Rochester and California USA and the Geological Survey of Canada report the magnetic properties of the Jack Hills zircons (Tarduno, J.A. et al. 2015. A Hadean to Paleoarchean geodynamo recorded by single zircon crystals. Science, v. 349, p. 521-524). All of the grains analysed record magnetisation spanning the period 3.2 to 4.2 billion years that indicate geomagnetic field strengths ranging from that found today at the Equator to about an eighth of the modern value. So from 4.2 Ga onwards geomagnetism probably deflected the solar wind: the early Earth was set for living processes from its earliest days. The discovery also supports the likelihood of functioning plate tectonics during the Hadean. 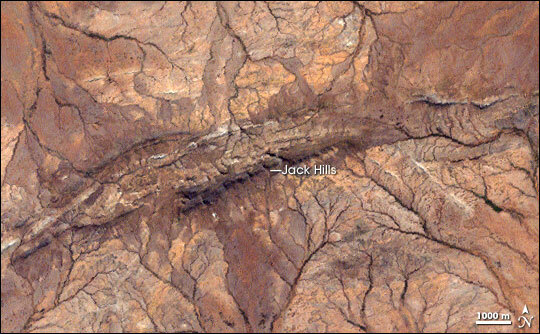 This entry was posted in Geophysics, Tectonics and tagged Earth's magnetic field, Jack Hills, Zircon. Bookmark the permalink. The thesis makes sense, and yet I wonder why, if it is true, there is no evidence of widespread damage during magnetic reversals, which are not uncommon events.